Shane Williams MBE is one of Wales’ greatest ever rugby players, with 87 caps to his name more than any winger, and he is the holder of the record for the most tries scored with 58. Starting his career in 1998, Shane was named as the world’s best player in 2008 and has represented his country at the highest level. Making his debut for Welsh club, Neath , in 1998, Shane was always extremely talented, and his Wales debut came shortly after in 2000. On his first full start for his country against Italy, he scored a try and this was a sign of things to come. Making an impact for both club and country, he joined Ospreys in 2003 where he stayed for nine years, making over 100 appearances and scoring 293 points. However, the standout moments of his career undoubtedly came when wearing a Wales shirt. Shane was part of the 2005 and 2008 Six Nations’ Grand Slam wins where he was integral to the victories. These performances played a significant role in Shane being named the World Rugby Player of the Year. In 2011 he retired from the international game and a year later moved to Japan to play for the Mitsubishi Dynaboars where he also began a coaching career. In 2016 he was inducted into the World Rugby Hall of Fame and he now works as a popular rugby pundit. 1998 – Makes debut for Neath . 2000 – Makes debut for Wales. 2003 – Signs for Ospreys . 2005 – Wins first Six Nations Grand Slam . 2008 – Named world’s best player and wins second Six Nations Grand Slam . 2011 – Retires from international rugby. 2012 – Plays final game for Ospreys and joins Mitsubishi Dynaboars . 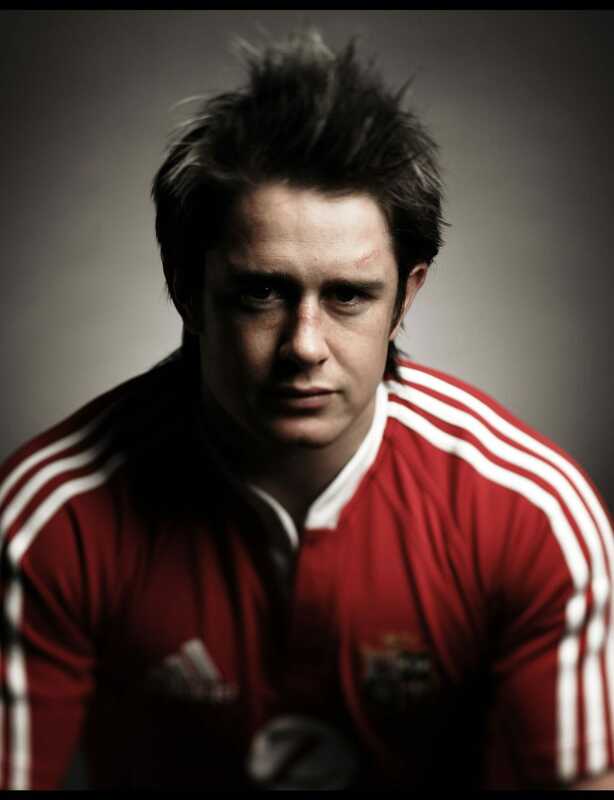 2015 – Retires from professional rugby. 2016 – Inducted into the World Rugby Hall of Fame. One of the UK’s most recognisable rugby players, Shane William MBE is a record-breaking winger whose career saw him make over 350 professional appearances and score more than 1,000 points. In 1998 Shane joined Neath , initially as a scrum-half, but it was clear that he was set to be a talented winger. His stunning displays for Neath quickly caught the attention of the national team and in 2000 he made his Wales debut. In 2003 he then signed for Ospreys where he gained a reputation as an excellent try scorer. Representing his country at the highest level, Shane played in competitions such as the World Cup and Six Nations . In 2005 Wales won the Six Nations Grand Slam , with Shane at the heart of the victory. The team then repeated this feat again in 2008 with Shane winning the prestigious ‘World Rugby Player of the Year’ following the victory. In 2011 he called time on his international career after becoming his country’s most capped ever winger, and scoring more tries than anyone else. His final Ospreys match came soon after in 2012, and he signed off in style. During the PRO12 final he scored two tries to earn a 31-30 victory over Leinster. He considered retiring after this match but instead went to Japan to play for Mitsubishi Dynaboars . Shane also took up a coaching role at the club where he remained until his retirement in 2015. Since then he can still be found making occasional appearances for local club Amman United and in 2016 he was named in the World Rugby Hall of Fame. Since retiring from international rugby, Shane has regularly worked as a rugby pundit, appearing on the BBC’s coverage of the Six Nations and on Welsh programme Y Clwb Rygbi Rhyngwladol offering his expert view. Due to his reputation as a world-class sportsman, Shane Williams MBE is able to give all brands he works with a significant boost. With thousands of followers on social media, Shane has the ability to expose brands to a wide audience. Shane has worked with the likes of CasinoEuro to help them raise their profile and can use his reputation as a sporting great to do the same for any brand.